Microsoft held its special Education event on Wednesday, and announced a handful of new products and services designed for and geared specifically towards teachers and students. While Microsoft dominates the installed educational base, Google Chromebooks and G Suite have grown in popularity in K-12 over the past few years as have Apple MacBooks for high schoolers off to college. While the education market isn’t a very profitable market, K-12 students may go off to college or secondary school and then off to a job where the industry standard tool is Microsoft Office and increasingly Office 365. Microsoft would like to see that continue. Given Microsoft’s challenges in the smartphone OS space, the company needs positive interaction with kids and schools beyond the very successful Minecraft and XBox franchises. 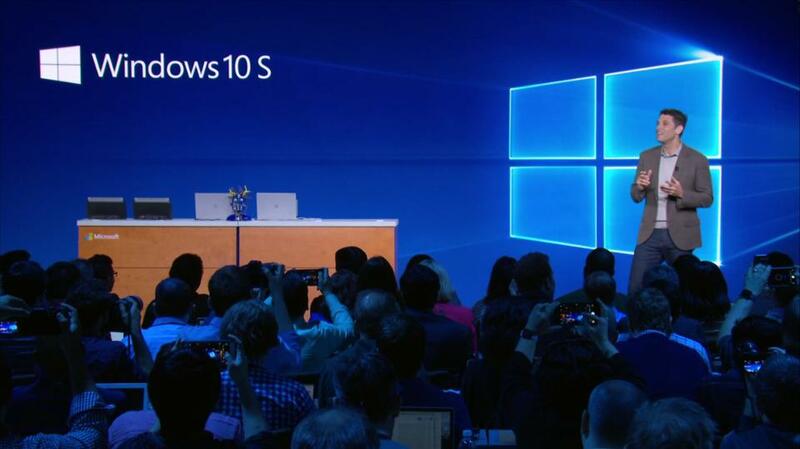 Microsoft needed a meaningful response and this announcement was the day for it and the messages were as much for educators as it was for their broad partner base of hardware OEMS and ISVs. Microsoft needed to show it was in-touch with the needs of schools and students and could muster a simple and cost-effective solution. Here’s a rundown of what was announced, and what I thought about it. I’m going to focus mainly on the software and services side of the announcements—as I already weighed in on the Surface Laptop here. CEO Satya Nadella kicked off the day with a very personal and passionate story of how his grandfather and great uncle took two very paths and he wouldn’t be on stage if his grandfather wasn’t able to get the schooling he needed. I was touched. He related those personal experiences to the Microsoft mission and just how important education was to him and to Microsoft. Nadella was on fire and to me gave to me the most impassioned CEO plea I’ve heard in years. He really meant it and came across as very genuine and is onto solidifying his position as the one of tech industry’s best if the not the best oraters. While Microsoft has been pushing really hard to make its browser, Microsoft Edge, ideally suited for the classroom, Windows 10 S does have the ability to run any browser—as long as it’s available in the Windows Store. But right now, Google Chrome is not in the store and this culd be an issue for some students and educators, particularly if they’re standardized on G Suite. At a minimum, I’d like to see Microsoft allow Google to be the default search engine or give some really good reasons why not. Bing is good quality search and it’s the default searche egine for Apple iOS, but people like choice. Edge is very fast, power-efficient and Microsoft reinforced some of its differentiating features for Microsoft Edge at the event as well—a new Tab Preview Bar, and a feature called Windows Ink, which allows students to scribble notes directly onto a web page for saving and sharing. Inking in education is a big deal, bigger than in any other market and I’m excited to see where this goes. It’s going to take a lot of effort and innovation to cut into Chrome’s dominance in the classroom, but Microsoft seems to be doing what they can to make their browser more appealing to the millennial set. Educators don’t buy Chromebooks just because they’re cheap and because G Suite is almost free. Free services matter, but not as much as simplicity and in my opinion, that’s Chromebook’s and G Suite’s #1 value proposition right now. Ironically though, as Android apps are added, this could change as the experience is currently rough as I write here. Catherine Boeger, GM of Microsoft Office and Office 365 took the stage next, and introduced Dr. Anthony Newbold, the principal at Bear Creek Middle School, in Fairborn, GA to talk about the some of the work his school has been doing with Office 365. Boeger then went on to announce Microsoft’s newest addition to 365—Classroom Experiences in Microsoft Teams. The goal of this is to take the concept of Microsoft Teams and gear it towards students and teachers, so that it might become their one-stop digital hub for collaboration. Educators can use Teams to personalize the classroom experience—they can distribute materials, incorporate rich content, grade schoolwork, and communicate with their fellow educators, students, and every teacher’s nightmare—helicopter parents. From what I have seen so far, Microsoft had a quality V1.0 collaboration tool experience in their hands with the original Microsoft Teams—I think gearing a version to this specific purpose is a smart move that will only bring more users on board. While the jury is still out on whether conversational modalities actually improve productivity, it would seem that kids would “get” it as they spend a lot of time on smartphones in messaging. I’m not going to spend too much time on it as I wrote about it here but I did want to briefly mention the hardware announcements from the event. Microsoft introduced a new Surface Laptop, powered by Windows 10 S, designed to showcase all the new 10 S capabilities while being upgradable to full Windows 10 Pro. The Surface Laptop is not intended to replace Chromebooks, it’s designed to be an alternative to Apple Macbooks. I came away from the event feeling impressed—I think Microsoft did everything they needed to do to paint themselves as a great option for educators by reinforcing commitment to the space, simplicity and low cost. While I haven’t used it yet, Windows 10 S looks to be a secure, user-friendly platform better-suited for the classroom, and the new Classroom Experiences for Microsoft Teams looks as though it has the potential to make collaboration easier, and more enjoyable for everyone involved. Intune for Education is spot-on and I’d like to see continued simplicity for very small schools and classrooms. Code Builder for Minecraft is a fun way to get students engaged with basic coding. On top of it all, the promotions Microsoft is offering for students and teachers starting at $189 make the barrier for entry low and affordable. Microsoft just raised the ante and I’m looking forward to Google’s response.